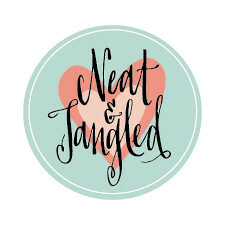 Neat and Tangled 5th Birthday Blog Hop Day 1! This week is a VERY special week! It is our 5th birthday! It is so hard to believe that it has already been 5 years since we opened our doors, the time is flying by! To celebrate we have a week long blog hop with some of our very best friends - I know you're going to have a blast! We are having some BIG GIVEAWAYS! To enter to win be sure to leave comments all along the hop all week long! Winners will be announced Sunday, August 13th. In addition to all the fun of the hop, we are having an amazing release of new products! Don't tell anyone, but I think it's my favorite release this year! I made a card using the new Hooray Word Dies to kick things off! Here is a look at all the new products! Products are available NOW in the SHOP! We are offering our August bundle! You can get the entire new release with one click, and at a 15% discount! Your next stop on the hop is Jennifer McGuire. Don't forget to leave comments all along the hop each day this week! If you get lost, or want to start over here is the full hop order for today! Thank you for celebrating with us this week! LOVE all the products! The card is amazing! Happy Birthday Neat & Tangled! loving the new release and the hop! Happy 5th bday!I think this is my favorite N&T release this year too!I love them all!!! Happy Birthday N&T! What a fun new release! Yay for new stamps! I’m so happy to see a small company grow and thrive. love the new Hooray die and the great watercolour card made with it. I think this is my favorite release of the year as well! Love the Hooray and balloons! Happy birthday !! The stencil is super cool ! Happy birthday! How exciting! 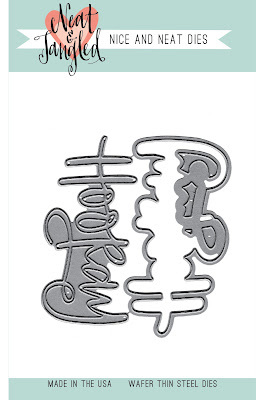 Love the new release, the stamp set is so cute, and the hooray die is really brilliant! Thanks for organising such fun and sharing your celebrations with us! I love the "hooray" set! Perfect for so many occasions. Congrats on 5 years! Happy Anniversary!!! What a fun release! Happy Anniversary - and what a marvelous celebration you've lined up! Hooray, indeed! Love this showcase; makes me all smiley! What a grand set of magical playthings! BTW, the link to Chari doesn't seem to be working. Happy 5th! Such a cute set. Such an adorable release! The items are so versatile. Congratulations and Hooray for turning 5!!! What a fun release! Happy Birthday and Congrats! Love the card and all the new goodies. Happy Birthday! Can't wait to celebrate with you all week. Happy 5th Birthday! I remember when you first started. Cute Hooray card--I like the background. Hooray indeed! Happy birthday, Neat and Tangled!!! FAB release-Happy Birthday Neat and Tangled!!!! Happy Birthday!! What a perfect new release! Happy 5th birthday!!! Love your card...beautiful colours. Loving this fun, fabulous and festive release. Looking forward to celebrating all week long! Love the new products! 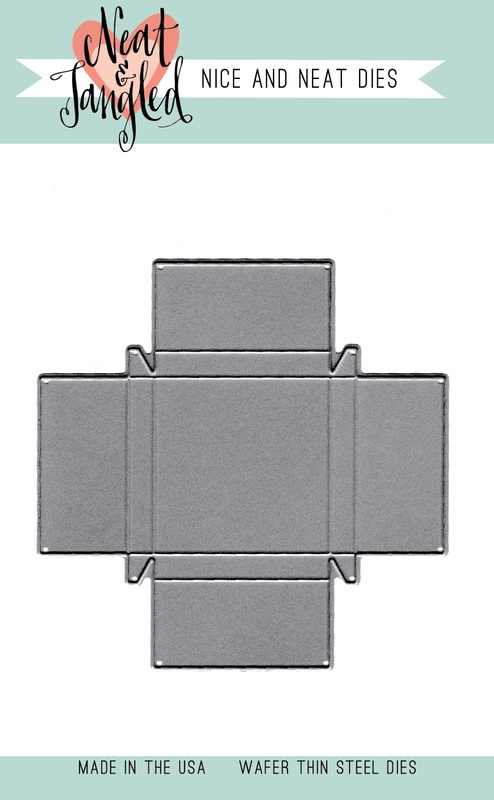 The hooray die is my favorite by far!! Great card. I love the Hooray die. Wonderful! I really enjoyed celebrating with you today, and I am crazy for the balloons! Thank you. Happy Birthday, thanks for the fun hop. And I think this product release is great. I really like the wild animal stamp set and the balloon stencil. Love the new release. Congrats on all the success!! Congratulations on your 5th year. Wishing your many more years of success. Love your card...looks like a fun release! Congratulations! Five years is a great accomplishment these days!! Such a fun set-the cards are all adorable. I love the card and am inspired to make more with my word dies. Happy 5th Birthday! 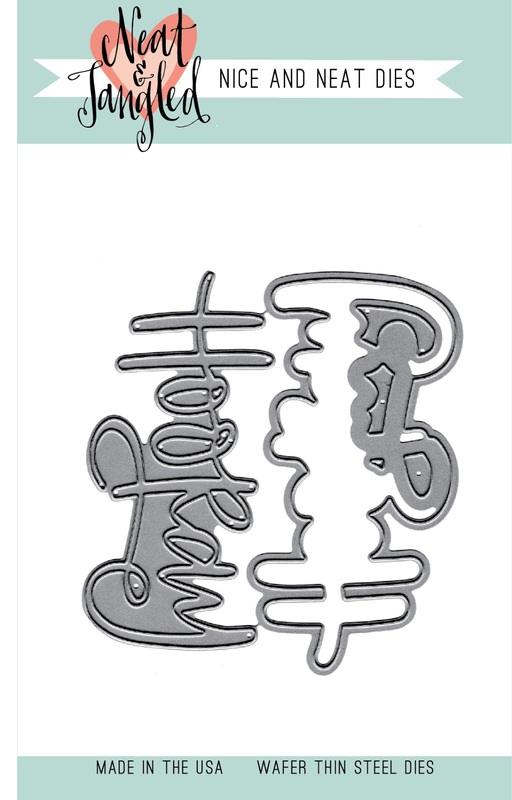 Love the clean and simple look of the Hooray card. Can hardly wait to get started on the blog hop. Congrats on your 5 year bday! Love all the new goodies and your card! Congratulations on the BIG FIVE! Lovely card with all those lovely goodies! Off to see more! Happy Birthday! Really cute card. Happy 5th Birthday 🎉 love your card Danielle!! So excited to be part of your celebration. Love all the new products this month!! Love this hooray. Very pretty coloured background.. congratulations on your 5th anniversary..
Congratulations on your 5th anniversary. This is my first time on your site and I am so encouraged by the story of your 5 year journey. I am a wife and a working mother of toddlers, but I have found tome to enjoy cardmaking. Your story has opened my eye to the possibility of making a craft that I enjoy become a stream of income for my family. Thank you again for sharing. Congratulations! I love the card above. Beautiful background! Happy 5th birthday! Great release - love the Hooray stamp/die. Happy birthday! What a fun release. 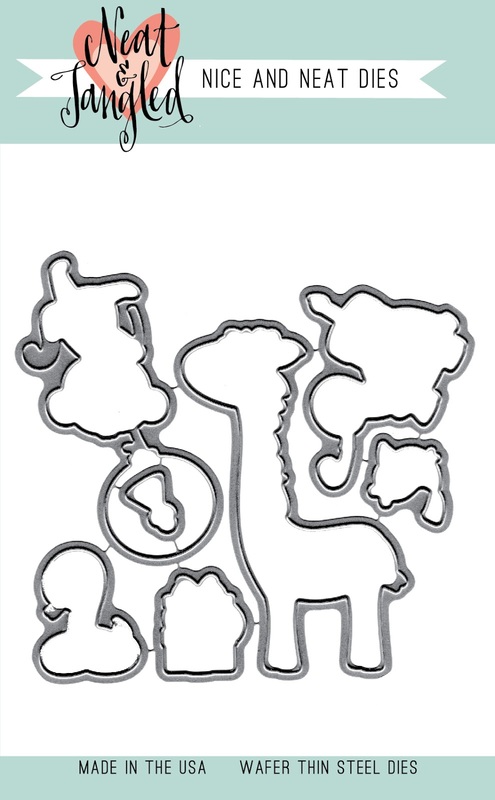 I love all the adorable zoo critters and the "Hooray" die is awesome. So pretty. Happy 5th Birthday!!! Loving the Hooray die and stamp set!!! And those cute birthday critters!!! Happy Birthday love the new stamps! Happy Birthday! Love that you celebrate it with fun celebratory products. die set. Happy Birthday!! Cute card!! Happy 5th Birthday Neat & Tangled! Love the new release. Wow! What a fantastic new release!!! Your card is gorgeous! 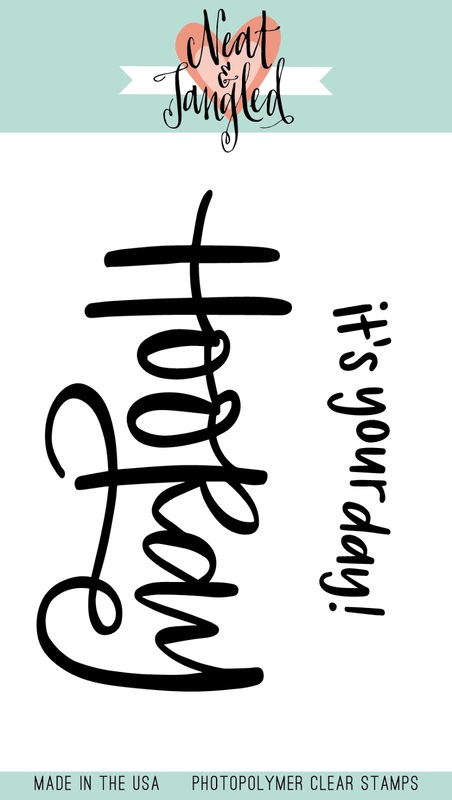 Love the font of the giant "Hooray" and your beautiful background!!! OMG! Where to start?!?! I simply want it all! Happy Birthday! Happy 5th and what an awesome realease to go with! I love the balloon stencil. It will make balloons fast and easy. Happy Birthday, Neat and Tangled! I have loved your stamps and dies (now stencils and sequins) since I found you years ago! I am so happy for your success and pray it continues for a long time!!! Happy birthday to y'all! I like all the new crafting goodies, especially the little box die :) Am looking forward to the hopping. Congratulations Danielle on 5 years! WOW, such a great milestone! Your products speak for themselves and you will undoubtedly be in the crafting industry for some time to come! Your card is lovely with the pretty background to showcase the new Hooray die. Well done! Happy birthday! What an awesome release! I am in love with those critters and the balloon stencil! Your card is fabulous, too! Love the watercolored background! Great release! Love those word dies. I've seen a few projects on Insta this morning (Chari/Jennifer) and am so excited to hop!! Love that Hooray die & the balloons!! So pretty!! Happy 5th Birthday! Such a fun card. Hooray for 5 years. Happy Happy Birthday and Many More!! Loving the Hooray set. 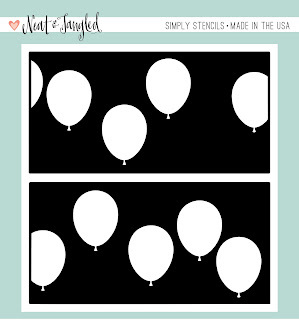 I am in love with the balloon stencils So cute!!! And congratulations on your anniversary milestone! I adore your word dies! OMGosh this is so cute! I love your products, happy Birthday!!! Happy Birthday! Fabulous card--adore the fun die! Loving all the wonderful new products. The balloon stencil is SO awesome!! Super HAPPY Birthday to you !!! Congratulations on turning 5 !! I adore your company !!! Happy Birthday on 5 years! Hooray--yep, love that die and those cutie animals and the sparkly sequins, need I go on? All wonderful new products! Happy 5th birthday! What an accomplishment. This is my first visit to Neat & Tangled and I like your products very much. I'm excited to see what's coming next. Happy Birthday! I really like this new release! Happy Birthday! Cute new release! Love that beautiful card! This release has so many goodies that I need,(want!). 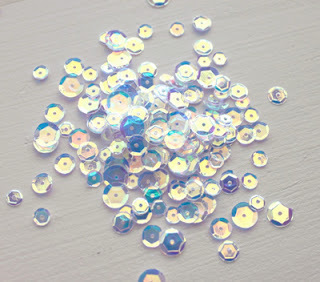 The sequin mix is a real stunner & I love the big word die! Happy 5th Birthday! I wish you many more years of fun, success and great inspiration! I love the new Hooray die and the cute animal stamps. Happy Birthday Neat & Tangled! Love this release! Happy Birthday! Love the Hooray die set. What a fun release! Wild Ones is too cute! Happy 5th Birthday! You're one of my favourite companies. Looks like a great release. Happy birthday! You've always put out great stamps so it's no wonder you've made it to five years!! To many more!! Congrats!! LOVE your card - such a great background. Totally in love with the release, too! Happy 5th Birthday! You have such cute stamps! Love it all! Congratulations and many, many more birthdays to Neat and Tangled! Happy Birthday to you! Only 10 days until my birthday! Love the balloon stencil! Congratulations! Love the Hooray card - it's very apt! Love word dies with shadow backgrounds. Love the card. Congrats on 5 years! Great new products! congrats danielle! i love love love that big hooray! Congratulations! Happy Birthday! I love your product! Happy Birthday. Love your wonderful new products and great ideas today. Big congrats on your 5th birthday! 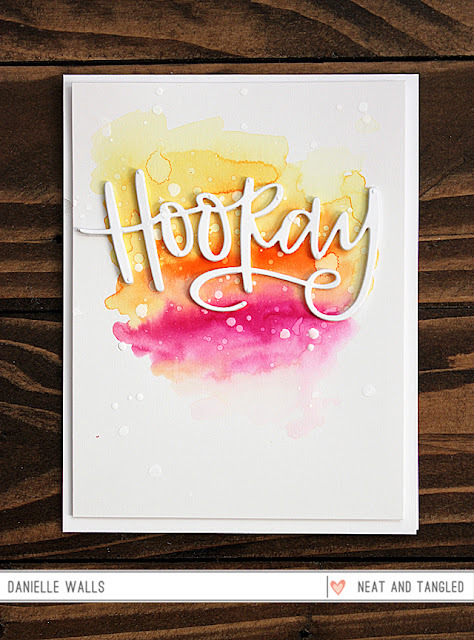 Loving the new release, especially the Hooray die! Happy birthday and here's to many more!!! HB and I am loving the Hooray die. Congratulations on your 5th Birthday! That Horray suits just about every occasion and I can't wait to see what others have done with the rest of the release! Love this release!! Your card is so fun!! Congratulations on 5 years!!! Woo Hoo!!! Love everything in this new release!!! Happy, happy 5th birthday! A good 'hooray' really says it all...hooray for your card, hooray for this release. Happy 5th birthday!! I absolutely love this release! You guys always do such amazing work! Congrats on 5 years!! LOVE this new release!! Happy 5th Birthday! Love the balloon stencil. Congrats on the birthday. Love the release!!!!! Happy Birthday! Looks like a great release. Happy Birthday! Congrats on 5 yrs of great products. Thanks for the blog hop and all the inspiration. Happy Birthday!!!!! Pretty card and awesome release. Happy 5th Birthday! Excited to celebrate this special occasion with you this week! Love the stamps, dies and stencil you are releasing today! Awesome new products! Happy 5th birthday! I love your great unique products! Congrats on 5th Birthday! Such a cute release, off to hop now! Happy 5th Birthday! I love all the adorable critters and the "Hooray" die is awesome. Happy Birthday Neat and Tangled! How exciting! I love your new release. Happy 5th Birthday dear Neat and Tangled! I love your products!!! Great items in the new release! Happy birthday! Happy 5th! Congratulations on five years of hard work. I love your CAS card, it beautiful. Happy birthday! Love this release! I totally agree this release is a must have, great card and HB! Such a fun release. Thank you for the chance to win. Happy 5th birthday! Love the new products. Happy Birthday! The card is amazing - the large-font word dies are fantastic! Great Hop!! Can't wait to check out the rest of the 5 Days!! 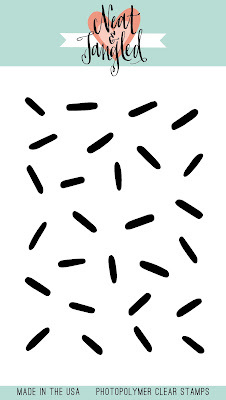 I really love that hooray double die!!!! Hip, hop, hooray!!! Happy Birthday!!! I am new to your products and thoroughly love what I've seen! The Hooray is a must have! It is so versatile and will be very used. Thank you for sharing your wonderful story as well as your fabulously talented creativity!!! Happy Birthday! This is such a great release. So many fun things in this release! Happy Birthday! HAPPY BIRTHDAY! 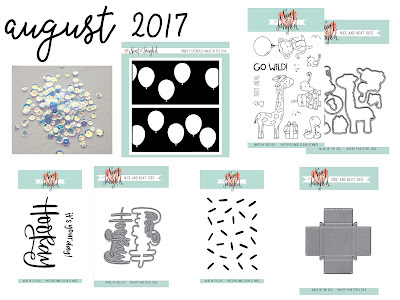 I love the new products--especially the balloon stencils and the hooray die! Love these, Danielle. Looking forward to more ideas during the rest of the hop! So, So darling! & so versatile. Happy birthday! Such great new products and fabulous card! Can't wait to see the rest of the hop! Congrats and happy big 5. Your critters are the cutest. A must have. Happy many more great years. Fabulous card! Fabulous hop! Fabulous release! Happy Birthday. Love that card....HOORAY. Settling in to hop! Wow! Your August bundle is already sold out. No surprise...this release was awesome. Thanks for the creative blog hop and prizes. Happy Birthday Neat & Tangled! Happy 5th birthday!! Awesome way to celebrate by releasing such a fantastic bundle! Such a beautiful release!!! Happy birthday!!!! Happy 5th, Beethoven's 5th, a 5th of that stuff you don't want your kids into, and wonderful 5th yr release. Happy Fifth Birthday! I love the new release; it's definitely fillled with fun! Happy 5th Birthday!! Looks like a great release! Heading off to hop now! Happy birthday! 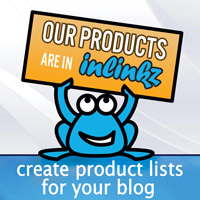 Love your products, and here are some more great ones. 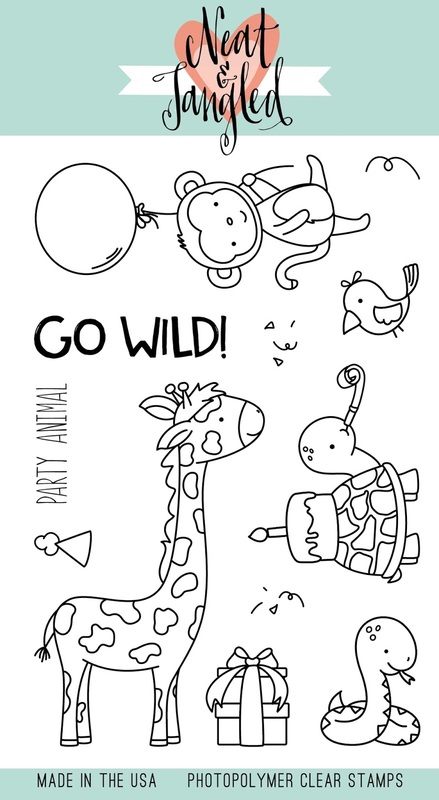 Love the balloons, sprinkles and those wild one animals are adorable. Thanks for sharing! Congrats on another anniversary ! Much more success to you! Love the new Hooray and Go Wild sets! Thanks for all the inspiration. Congrads on your 5th birthday! Love all the products. Lovelt card. So love the colors. Happy Birthday! What a fun release!! I can hardly wait to see what everyone makes. Love the word stamp -- and your use of it. Awesome , I love the background with the big word die! Happy 5th birthday! Great items in this release - thanks for the hop and the inspiration ! Happy Birthday to you. Great release- I esp. 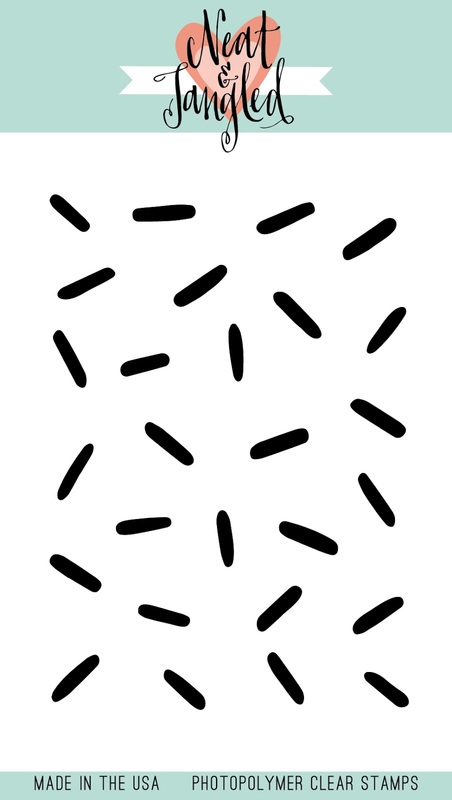 like the hooray die. Happy birthday love the new release. Happy 5th Birthday!! Love this release! Lovely release ! Happy Birthday ! Loving the sequins and the hooray die. Happy Birthday! They are so cute! I can't wait to see more creations using these new products. Happy birthday, great inspiration! I love the balloon stencil! Happy 5th Birthday...love the bright and beautiful card..
gorgeous card and great products! Love your card and the fun font of the sentiment die. Happy 5th birthday Neat and Tangled. I love the simplicity of your Hooray card. It really lets the die shine. I think this release may be my favorite too. It's great to celebrate the birthday with friends! And the news is so sweet! HAPPY BIRTHDAY TO YOU!!! Congrats on your 5th. May you have many more. This hooray is fabulous. I need it! Happy 5th Birthday! I am loving seeing these awesome images come to life on the designers cards! They are all so beautifully done! TFS! 5th Birthday Blog Hop Giveaway Winners! Neat and Tangled Birthday Blog Hop Day 5! Neat and Tangled 5th Birthday Blog Hop Day 4! Neat and Tangled 5th Birthday Blog Hop Day 3! 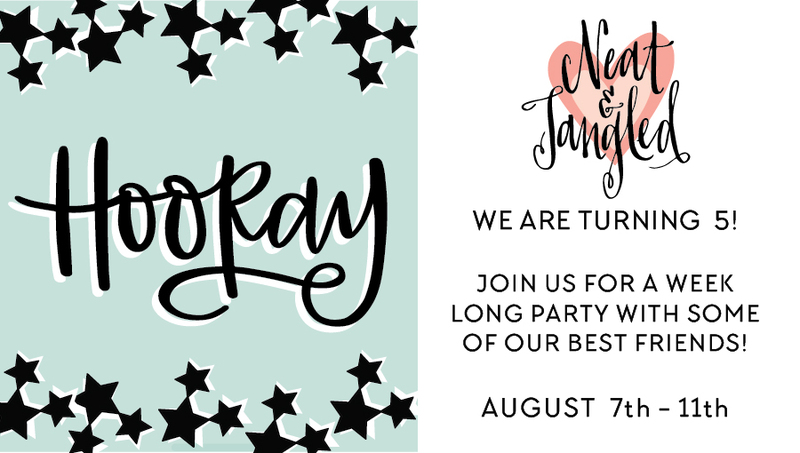 Neat and Tangled 5th Birthday Blog Hop Day 2! Neat and Tangled's 5th Birthday Celebration!